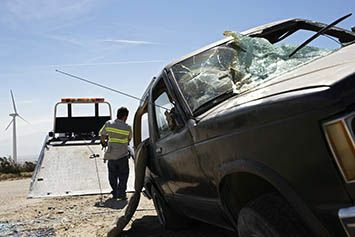 Have you or your loved one(s) been involved in a truck accident anywhere in Murrieta, CA? Do you need prompt services of a very talented truck accident attorney in the city? Then there is no need to fret. Rawa Law Group is here to assist you. We are a top class legal agency in California that parades some of the most talented accident attorneys in the state. We have relentlessly fought and stood for the advocacy for accident victims for years and have totaled 50 years of collective legal experience in this field. Over the years, Rawa Law Group has helped many folks gain full payment on their accident claims in amounts that have run into several hundreds of millions. We give you the needed legal representation as well as ensure that you are aware of everything in your case as it progresses from start to finish. You can book an appointment with us and not worry about how it sits into your schedule. We offer flexible appointment hours because we pay attention to our clients and even make visits to your house or hospital where you are being treated. Another thing you shouldn’t worry about when you consult our services is upfront payment. That means we only get paid for winning your case. That’s not all, you would get access to ethical legal advice at no extra, or hidden charges at all. If you must hire a talented truck accident attorney in Murrieta, CA, then come to us at Rawa Law Group. Take advantage of our free case evaluation and get started on the right foot.